Chic entertainment console features bold, open compartments for storing your media players, and is open on both sides, so you can choose to float it in the middle of your living room, or against a wall. 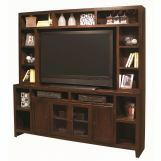 The broad top of the console is wide enough to fit most 60 inch, flat panel TVs. 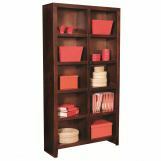 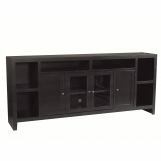 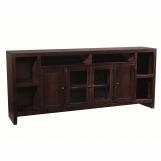 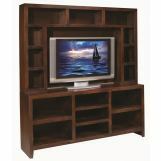 Five nifty open compartments provide ample room for your DVD player, as well as your favorite game consoles. 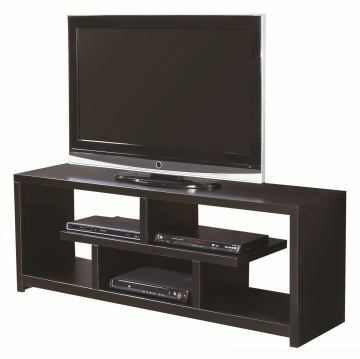 The fashion-forward contemporary look of this console, solid lines and bold negative space, will make this piece an eye-catching addition to any room in your home.